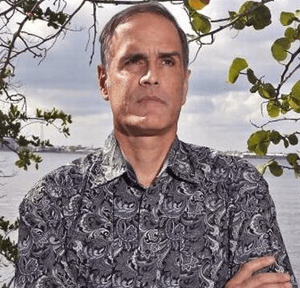 RIVIERA BEACH, Fla. —A Riviera Beach activist who once won a Supreme Court fight against the city is now offering a $100,000 reward for evidence of corruption against one current council member, after a complaint he made led to a criminal charge against another. 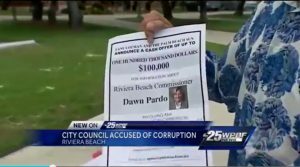 Fane Lozman held a news conference Wednesday in front of City Hall, holding up a flier with Councilmember Dawn Pardo's picture and offering the reward for any evidence of "any alleged corruption - for example - illegal payoffs and bid-rigging." Lozman filed a complaint with the State Attorney's Office last year alleging Sunshine Law violations against council members, after a city meeting where a member made comments revealing he and another council member had already talked about the issue. Read more.